Starbucks' Holiday BOGO Event starts today! When you buy 1 holiday drink you can get another 1 Free! 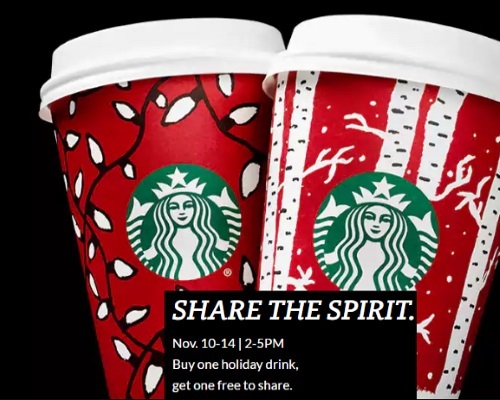 Offer is valid November 10-14, 2016 from 2-5pm (Starbucks Rewards members get an extra hour to share, until 6pm).